I did not want to make this chutney. Sometimes I get things in my head and I am not even sure why I think them. This was one of such moments. My aversion probably had something to do with apples. I admit I am getting used to having them in my diet. I am not a huge fan of apples... well I should say, I wasn't a huge fan of apples until last year when I made my first batch of applesauce. I hated applesauce up until that moment. Then I tasted REAL honest to gosh applesauce, and something changed. But old habits die hard, I have found. So when I hear, "apple," I am still skeptical. So when my mother in law and my mom were excited about apples this season, at first I wasn't. Ironically, though, I went and bought all the ingredients for this recipe on my own. Then I showed up for some apple canning and suggested we give it a try. I was trying to go outside of my own box. I am so happy that I did!!!! This chutney is a revelation. So much so that when people eat it, I have noticed that they close their eyes to savor it. Of all the 199+ cans in my canning closet, I did not expect to break this out first, especially considering my feelings on apples, but it was the first. Because it hit me: Duck. 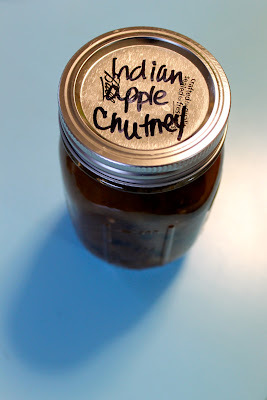 And apple chutney. Together in harmony! 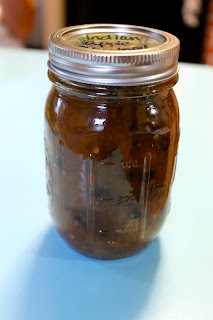 I got the recipe for this chutney from the Simply In Season cookbook, which I feel like I have been talking about a lot lately. Because it's a fabulous cookbook. This chutney has a host of spices that really hit the palette in all the right ways. It's got cumin and ginger and cinnamon and currants and raisins and onions and apples and vinegar and brown sugar... are you salivating yet??? 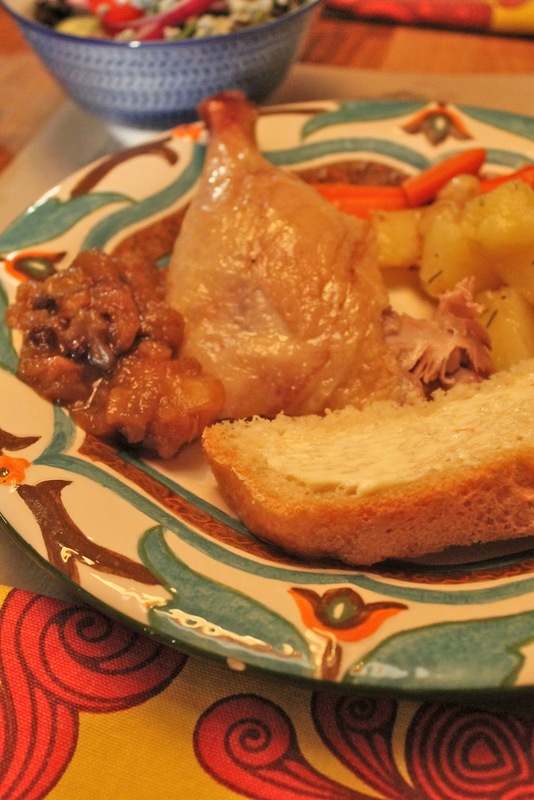 Even though I knew I was going to serve it with duck, I didn't want to force it on anyone. So I decided to just put it out and let people do it for themselves. This way they wouldn't feel forced into a chutney fate. Also, my husband can sometimes not be the biggggggggest fan of things that remind of curry and this chutney runs a fine line. 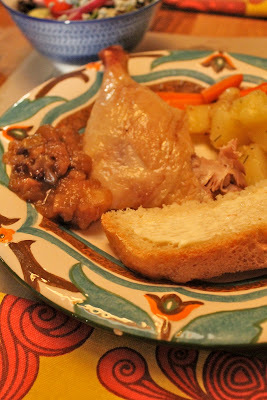 My proud duck leg and the chutney. Let me just say: it was a match made in HEAVEN! I think this chutney will actually pair well with pork and chicken as well. Also, I am planning on trying it on brie cheese... but that will have to be another post! 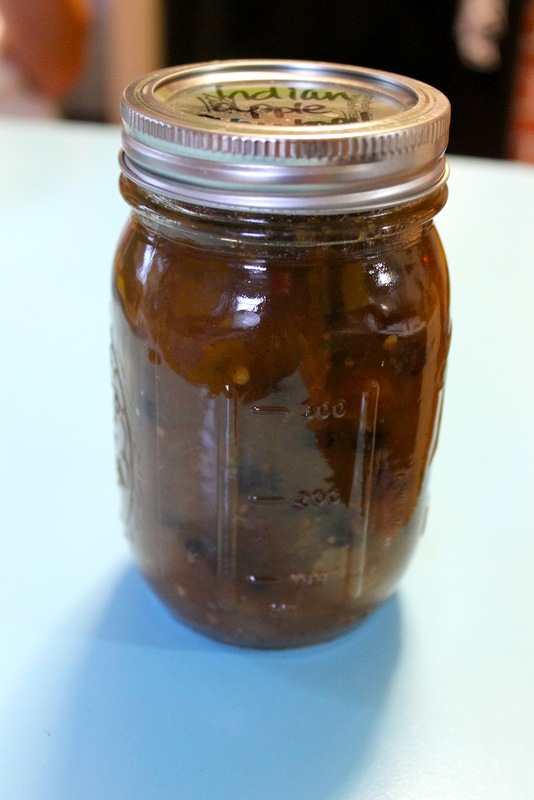 If you are thinking of canning, it isn't too late in the season to sneak in some apple chutney! I highly recommend this one because it's versatile and delicious! It would make an impressive add on for roasted meat, not to mention an AWESOME gift at Christmastime! 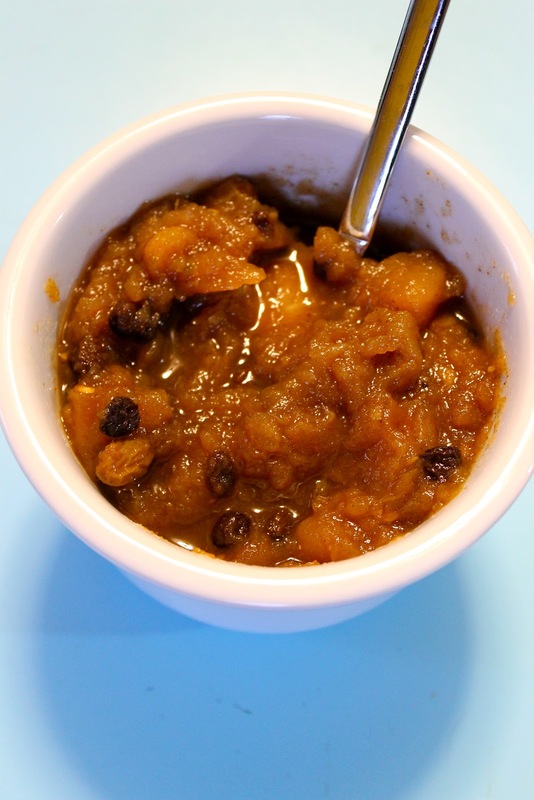 I can vouch for the apple chutney – it is so good!!!! So ???? Where's the frikking recipe ?